If you’ve ever created an MSDeploy web package using Visual Studio you may have noticed that the generated package has the folder structure of where the application was packaged. Since MSDeploy parameters are used when installing the package in most cases the structure of the web package doesn’t matter. 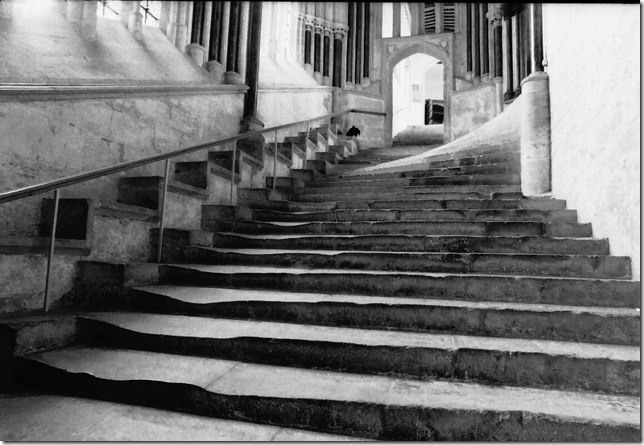 In some cases this causes problems and it would be desired to have a flatter package structure. Today on twitter @ashic contacted me asking basically “How can I update the package folder structure without modifying the project?” OK it’s possible, but I’ll first explain how you can easily solve this problem in a few ways and then move on to his actual question. The easiest way to fix this problem is to add a the PackageWeb NuGet package into your project (that’s a package that I’ve authored you can see the sources here). This will update the path to a flat structure and add a .ps1 file when creating the package. You can ignore the .ps1 file if you like. In web projects when you build it will import any files in the same folder as the .csproj/.vbproj file matching the following file pattern *.wpp.targets. To fix the issue drop the following contents in to that file. Note: you can find the latest version of this in this gist. Then when you build this project the package path will be consist of Content\website and all content files are under that. Now that we have the MSBuild .targets file to do the work for us the only thing we need to figure out is how to add this .targets file into the build process when calling msbuild.exe myproject.csproj /t:Package. It’s pretty easy actually. You can take the package.wpp.targets file and drop it in a well known location (let’s say c:\msbuild\package.targets for this example). Then when you build your project you can pass a property to get that file imported. The command is below. In Microsoft.Common.targets (which is imported by most project types) contains a property CustomAfterMicrosoftCommonTargets which defaults to a folder under Program Files. You can override that value via MSBuild parameters to override it which is what we are doing here. Note: if you have a common targets file in the default shared location then this obviously will not work for you. You'd have to add another conditional import with a new property for that case. OK, so this off topic, but its so important that I had to blog about this. Let me give you some background. Last week I was traveling with my family on a road trip to Canada. Usually I’m super paranoid and never connect to any open wireless network (I pay for an carry my own mi-fi device due to this). Since we were in Canada I didn’t want to get hit with so many charges so I chanced it on a few networks. I made sure to connect to VPN as soon as I could, but there was still some time that I was not completely protected. At one point I thought that my gmail account had been hacked (further investigation proved this to be false thankfully). So I connected to a known network, applied VPN, double checked that my IP was routed through VPN and started changing my critical passwords. One of those was an account with BBVACompass bank. I initially setup this account a while back, and evidently I wasn’t as concerned with online security as I am now. 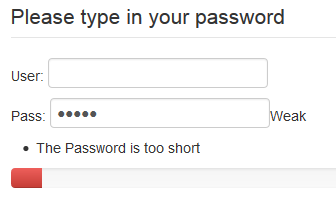 When I got to the password reset screen here is the tooltip indicating the password requirements. In developer terms that 4-12 alphanumeric only. 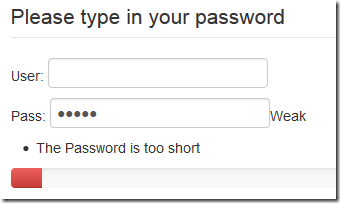 You cannot use any special characters or spaces. I’m not a security expert so I reached out to @TroyHunt (founder of https://haveibeenpwned.com/ and recognized security expert) to see what his thoughts were on this. Here is his response. So I looked at the link http://www.bbvacompass.com/customer-service/online-banking/siteid.jsp to see if there was some other way to authenticate which was more secure. From what I understood from that link they have a service called “Site ID” which consists of the following. The page that was linked to didn’t include any indication that this was “dual factor authentication” as the @BBVACompass twitter account tried to pass on me. I let them know that this is not two/dual factor auth. Even with “Site ID” if you log in on a compromised machine all security questions/answers and password can be stolen and users can effectively log in without me ever being notified. That defeats the purpose of two factor auth. With two factor auth if I sign into google on a compromised machine you will get my password but when you try and sign in later you’ll have to get access to my phone’s text messages as well. That is true two factor auth, not security questions. Another security expert @RobHale77 also chimed in later with the comments below. // This function will return an integer in the range of 0-100. Then this is converted to weak/medium/strong with the following js function, once again comments were added by me. 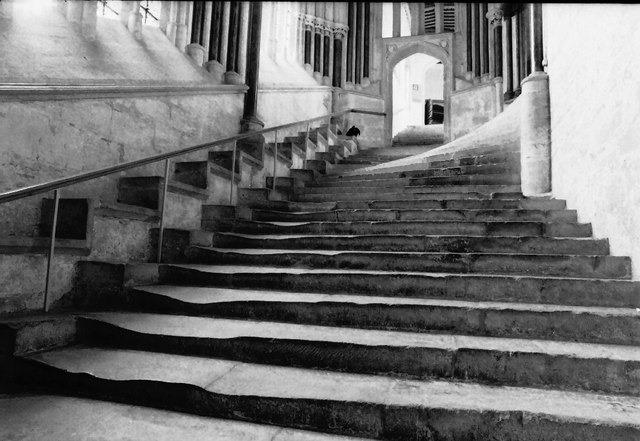 Since the code is minified it somewhat difficult to follow. What I found was that a strong password consisted of the following. So I decided to try “Hi123” to see if I was right. Sure enough BBVACompass told me that the selected password Hi123 is a Strong password! This is beyond insane. It contains a word and a sequence of 3 numbers (likely the most common sequence at that as well). BBVACompass, this is misleading at best. This is nowhere near strong, you are lying to your customers about the security of their passwords. Here are some passwords and how BBVACompass represents their strength. If you have an account you can verify this by going to the change password screen under Online Banking Profile. Why on earth is “hlzzeseiyg” weak and “111Aa” is strong?! Clearly this has been poorly implemented and misleading, fix it now. My top recommendation for BBVACompass is to get a security expert/team involved to redo your online security, but if you cannot afford that then follow what’s below. I’m not a security expert but here is what I recommended to BBVACompass as a consumer. I am getting all of the above features from google currently. Now that I’ve seen the guts of their getPasswordStrength function I’d like to see BBVACompass implement a better function for reporting password strength. One that takes into account dictionary words, and common patterns. As stated I’m not a security expert but after a quick search I found http://www.sitepoint.com/5-bootstrap-password-strength-metercomplexity-demos/ which includes a pointer to live demo jquery.pwstrength.bootstrap (http://jsfiddle.net/jquery4u/mmXV5/) and StrongPass.js (http://jsfiddle.net/dimitar/n8Dza/). Below are the results for the same “Hi123” password from both. As you can see if BBVACompass had used readily available Open Source tools to verify password strength we wouldn’t be having this conversation. Both reported the password as being unacceptable. As consumers we must hold our online service providers (especially banks) accountable for online security. For the tech savy bunch, it’s your responsibility to educate your non-tech friends/family about online security and strong passwords. As a bank, BBVACompass, needs to hold their development team accountable for providing customers with secure access to accounts online as well as honest indications for password strength. You’re being dishonest, which means I cannot trust you. I did a search on twitter for @BBVACompass password and discovered that this has been brought up multiple times by customers. The first of which I found occurred in November 2013! Tweets below. BBVACompass, your customers have spoken and we are demanding better online security. Now is the time to act. I’ve already closed my account and I’ll be advising all friends/family with a BBVACompass account to do the same. With recent security breaches of Sony/Target/etc you need to start taking online security more seriously. This blog post and twitter comments may end up with a few accounts closing, but if your customers experience wide spread hacking then it will be much more severe. Fix this before it is too late, this should be your top development priority IMO. BBVACompass if you support passwords >= 20 characters with special charcters within 90 days I will re-open my account with the same funds as which I closed it the next time I’m in Florida. Note: please post comments at http://www.reddit.com/r/technology/comments/2o4uat/i_closed_my_bbvacompass_account_because_they/. For the latest info here and for discussion please visit https://github.com/sayedihashimi/slow-cheetah/issues/158. I first developed SlowCheetah around VS2010 SP2 with the idea that I could at some point transition this to the appropriate team(s) at Microsoft. Unfortunately I haven't been able to do that, and the existence of this extension has actually worked against that goal. I'm really happy that SlowCheetah has gotten the attention and success that it has, but now it's time for me to move on. No support for SlowCheetah in VS "14"
I am not planning to update SlowCheetah for Visual Studio "14". If you would like to see support for transforms in VS "14" I suggest you vote, and comment, on the uesrvoice item at http://visualstudio.uservoice.com/forums/121579-visual-studio/suggestions/2043217-support-web-config-style-transforms-on-any-file-in. I will not be adding any features to SlowCheetah myself. If anyone want's to add any features I will try and help guide anyone who is interested. If there are any scenarios that work in VS2013 RTM that do not work in future version of Visual Studio then I will not be fixing them. I hope you all understand my situation here. I have spent countless hours working on SlowCheetah and there is very little ROI for me so, I need to move on to focus on other OSS projects that I'm involved in. Thanks for all the love. I still love SlowCheetah too and I'm sad to see there won't be support for transform in VS "14"
Recently I encountered a customer asking if it’s possible to download a site using msdeploy.exe. This is pretty easy using msdeploy.exe. I’ll demonstrate this with Microsoft Azure Web Sites but you can use this with any hosting provider that supports Web Deploy (aka MSDeploy). To perform a sync with msdeploy.exe the structure of the command that we need to execute is as follows. For the source property we will use the remote Azure Web Site, and for the dest property we will write to a folder on the local file system. 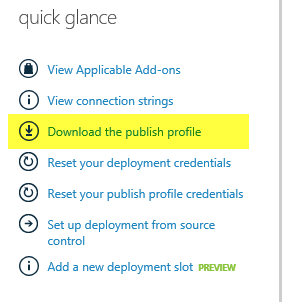 You can get the Web Deploy publishing settings in the Azure Web Site by clicking on the Download the publish profile link in the Configure page. This will download an XML file that has all the publish settings you’ll need. For example below is a publish settings file for my demo site. 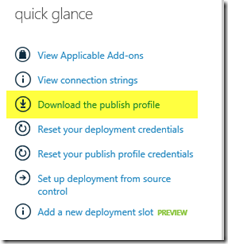 <publishProfile profileName="sayeddemo2 - Web Deploy" publishMethod="MSDeploy"
<publishProfile profileName="sayeddemo2 - FTP" publishMethod="FTP"
The publish settings file provided by Azure Web Sites has two profiles; an MSDeploy profile and an FTP profile. We can ignore the FTP profile and just use the MSDeploy one. The relevant settings from the profile that we will use are the following values. We will use the contentPath MSDeploy provider to download the files. On the source parameter we will need to include the relevant details of the remote machine. The full command to execute is below. I’ll break it down a bit after the snippet. "C:\Program Files (x86)\IIS\Microsoft Web Deploy V3\msdeploy.exe"
The important parts of the command above are how the remote settings are passed to the source provider. On the dest side I’ve provided the location where the files should be downloaded to. When automating web publishing for Visual Studio projects in many cases your first step will be to create a publish profile for the project in VS. There are many cases in which you cannot, or would not like to do this. 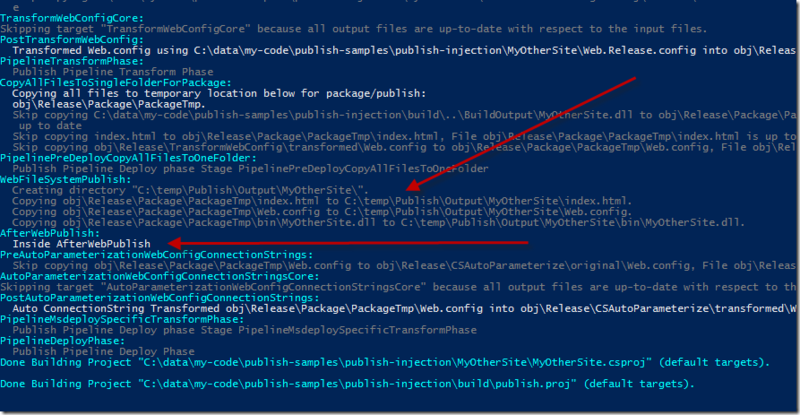 In this post I’ll show you how you can take an existing project and use an MSBuild file to drive the publish process. In that I’ll also show how you can extend the publish process without modifying either the project or any of its contents. Before we get too far into this, if you are not familiar with how to publish your VS web projects from the command line you can read our docs at ttp://www.asp.net/mvc/tutorials/deployment/visual-studio-web-deployment/command-line-deployment. When you publish a project from the command line using a publish profile you typically use the syntax below. In this snippet we are passing in a handful of properties. VisualStudioVersion dictates which version of MSBuild targets are used during the build. See http://sedodream.com/2012/08/19/VisualStudioProjectCompatabilityAndVisualStudioVersion.aspx for more details on that. 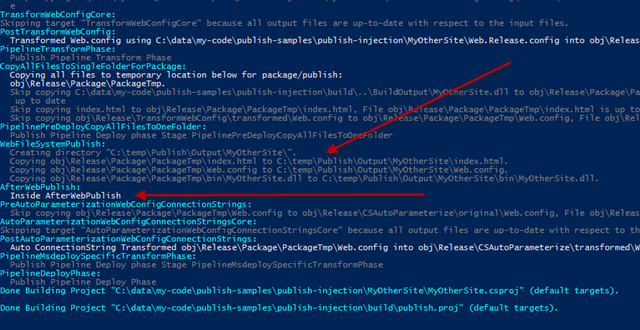 DeployOnBuild=true injects the publish process at the end of build. PublishProfile can either be the name of a publish profile which the project contains or it can be the full path to a publish profile. We will use PublishProfile with that second option, the full path. So we need to pass in the full path to a publish profile, which typically is a .pubxml file. A publish profile is just an MSBuild file. When you pass in PublishProfile and DeployOnBuild=true, then the publish profile is Imported into the build/publish process. It will supply the publish properties needed to perform the publish. Let’s see how that works. I have a sample project, MySite, which does not have any publish profiles created for it. I have created a publish profile, ToFileSys.pubxml, in another folder that will be used though. The contents of that file are below. This publish profile will publish to a local folder. I just created this file in VS with a different project and then just copied it to the folder that I needed, and removed properties which are only used for the inside of VS experience. We can publish the MySite project using this profile with the command below. When you execute this the file specified in PublishProfile will be included into the build process. Now let’s see how we can take this to the next level by having a single script that will be used to publish more than one project using this technique. In the sample files (which you can find links for at the end of the post). I have a solution with two web projects, MySite and MyOtherSite. Neither of these projects have any publish profiles created. I have created a script which will build/publish these projects which you can find at build\publish.proj in the samples. The contents of the file are shown below. This file is used in two ways. Note: 1. Is kicked off by the use on the cmd line/build server. 2. Is invoked by this script itself. This file is injected into the publish process via the PublishProfile property. The targets below will be called during the publish process. These targets are injected into the publish process for each web project. This file is pretty simple, it declares some properties which will be used for the build/publish process. Then it declares the projects to be built with an item list named ProjectsToBuild. When declaring ProjectsToBuild I use the AdditionalProperties metadata to specify MSBuild properties to be used during the build process for each project. Let’s take a closer look at those properties. I’ll explain all the properties now. VisualStudioVersion, Configuration and OutputPath are all used for the build process. The other properties are related to publishing. If you want to publish from the file system those properties (WebPublishMethod, publishUrl, DeployOnBuild, and DeployTarget) must be set. The most important property there is PublishProfile. 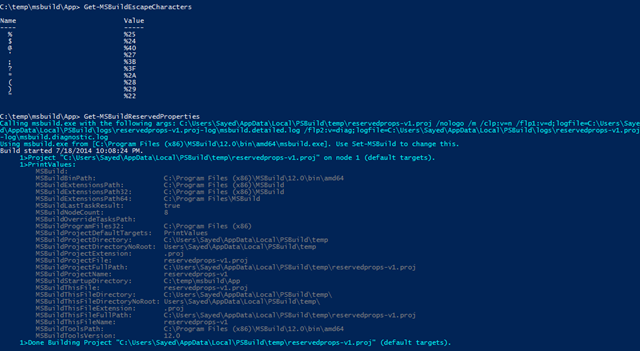 PublishProfile is set to $(MSBuildThisFileFullPath) which is the full path to publish.proj. This will instruct the build process of that project to import publish.proj when its build/publish process is started. It’s important to note that a “new instance” of the file will be imported. What that means is that the imported version of publish.proj won’t have access to any dynamic properties/items created in publish.proj. The reason why PublishProfile is specified there is so that we can extend the publish process from within publish.proj itself. publish.proj has a target, AfterWebPublish, which will be executed after each project is executed. Let’s see how this works. We can execute the publish process with the command below. After executing this command the tail end of the result is shown in the image below. In the image above you can see that the MyOtherSite project is being publish to the specified location in publish.proj and the AfterWebPublish target is executed as well. In this post we’ve seen how we can use an MSBuild file as a publish profile, and how to extend the publish process using that same file. You can download the samples at https://dl.dropboxusercontent.com/u/40134810/blog/publish-injection.zip. You can find the latest version in my publish-samples repository at publish-injection.